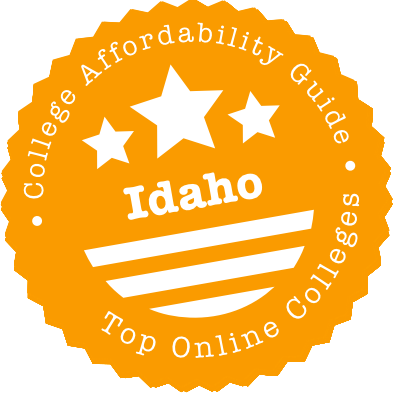 Scroll down to see the top not-for-profit colleges and universities in Idaho offering online degree programs. Brigham Young University-Idaho offers 11 online bachelor's degrees, six online associate degrees and 11 online certificate programs. Online bachelor's programs are available in applied management, business management, computer information technology, public health, healthcare administration, interdisciplinary studies, marriage and family studies, web design and development, nursing, software engineering and university studies. Online associate degrees are offered in administrative assistant/office manager studies, business management, web design and development, computer programming, family history research and general studies. Additionally, certificate programs are available in administrative assistant/office manager studies, basic accounting, business management, commercial fundamentals, entrepreneurship, family history research, home and family studies, computer information technology, professional sales and web media. Most online programs at BYUI are offered entirely online and can be completed quickly or slowly by taking courses year round or taking semesters off as necessary. Online courses are structured similarly to on-campus courses, using the same format and schedule. Online students are eligible for financial aid, including Pell Grants and student loans. Online students are not, however, eligible for institutional scholarships and grants. Boise State University offers five online undergraduate degree programs and 10 online graduate degree programs. Undergraduate programs include a business certificate, a BS in Imaging Sciences, a BA in Multidisciplinary Studies and degree completion programs in nursing and respiratory care. Graduate programs include master's degrees in business administration, educational technology, special education, early childhood intervention, social work, organizational performance and workplace learning, and adult gerontology nurse practitioner studies. Additionally, several online graduate certificates are available, as well as a K-12 online teaching endorsement, a Doctor of Nursing Practice degree and Doctor of Education in Educational Technology. Most online programs at BSU can be completed entirely online. The online M.B.A. program, for example, can be completed as quickly as 12 months through fully online classes that are taken in eight-week quarters. The Adult Gerontology Nurse Practitioner program, however, requires on-campus summer intensives that last for 7-10 days. Students enrolled in BSU's eCampus programs and courses are able to transfer credits from previous coursework and can take advantage of virtual student services like online tutoring. Online students are also eligible for financial aid. Online graduate students in certain programs are even eligible for a limited number of highly competitive graduate assistantships. Idaho State University offers online associate, bachelor's, master's and doctoral degrees. Online associate degrees are offered in business, emergency management and fire services administration. Bachelor's degrees are available in psychology, workplace training and leadership, emergency management and fire services administration. Additionally, online master's degrees are available in business administration, instructional technology, organizational learning and performance, dental hygiene, health education, public health, nursing, speech language pathology, as well as online doctoral degrees in instructional design, pharmacy, nursing and nursing practice. Online courses at ISU are offered in synchronous, asynchronous and hybrid formats, and certain programs are offered fully online or in a blended hybrid format. Blended programs include the master's programs in education administration and literacy education, as well as doctoral programs in instructional design and education administration. All online students pay in-state tuition, even those from out-of-state. ISU cannot, however, accept online students from Connecticut, Delaware, Kentucky, Massachusetts, New York and North Carolina. University of Idaho offers graduate and certificate programs that can be completed through online or hybrid formats. Online graduate programs include an Executive M.B.A., an M.S. in Adult Organizational Learning and Leadership, M.Ed. degrees in curriculum and instruction, educational leadership, and physical activity pedagogy, an Ed.S. in Educational Leadership, an M.S. in Experimental Psychology, a Master of Natural Resources and a Doctor of Athletic Training degree. Additionally, the Engineering Outreach Program offers master's degrees in civil engineering, computer engineering, computer science, electrical engineering, engineering management, geological engineering, mechanical engineering, statistical science, teaching mathematics and technology management. A professional science master's program is also available online with a track of study in environmental contamination. Most programs are offered entirely online, but many offer the option to take both online and on-campus courses if a student prefers. Certain programs, like the Doctor of Athletic Training program, include on-campus requirements. Students working toward the Doctor of Athletic Training degree, for example, are required to spend four weeks on-campus during the summers. Online students at the University of Idaho are eligible for financial aid, including some of the same scholarships as on-campus students. Business, teaching, and social sciences are a few of the programs students can complete entirely online at the College of Southern Idaho. The Business Department has four online programs, including transfer degrees in business and economics and a program for entrepreneurs. The Education Department also has transfer associate degrees and several training programs in early childhood education. Future librarians can start their education with a transfer degree in library and information science, and health care workers can gain credentials as a surgical first assistant. While online programs include all the classes necessary to earn the degree, the college notes that online students may have a more limited range of electives than students taking classes on campus. Northwest Nazarene University offers an array of associate, bachelor's and advanced degrees that can be earned online. The most advanced degrees NNU Online offers are a Ph.D. or Ed.D. in educational leadership. These programs are set up in a cohort format and include a two-week, on-campus seminar, held in the summer. The college also offers master's degrees and Ed.S. degrees in educational leadership for educators who want to be building administrators or superintendents. The school was founded by a religious organization, and NNU has several degrees in the field of religion, including a bachelor's in Christian ministry, master's in pastoral ministry, and Master of Arts and Master of Divinity degrees in missional leadership, spiritual formation, and youth, children and family ministry. Nurses can complete work for a Bachelor of Science in Nursing or earn a master's in nursing online. Students interested in business can earn an associate, bachelor's, or master's in business administration. The college recently added a Bachelor of Arts in Liberal Studies to its online offerings. Many of the undergraduate programs offer eight-week courses and multiple start dates each year. Lewis-Clark State College has nine online programs leading to an associate or bachelor's degree. Additionally, students who are interested in pre-law as a minor can take the required classes online. Students interested in business administration can earn an associate or bachelor's degree. Students who earn the Associate of Science in Business Administration can transfer those credits to the bachelor's program. Business administration majors can use their electives to create a focus in accounting, management, marketing, or economics. The college also offers a bachelor's degree in general business, which is aimed at students who have completed a professional technical program. Students interested in teaching young children can complete the Associate of Applied Science in Early Childhood Development, then transfer into the Bachelor of Applied Science in Early Childhood Development. The bachelor's degree in interdisciplinary studies allows students to work with an adviser to devise their own program of study focusing on two disciplinary areas. An Associate of Applied Science in Web Design and Development, an Associate of Arts in Liberal Arts, and an RN to BSN degree-completion program for working nurses round out the online programs offered at Lewis-Clark. In a big state with a small population, distance learning may be your only option! That’s why we created this guide to choosing an online program in Idaho. It has background on UI’s 2+2 degrees, BYU-Idaho’s Pathway, discount tuition opportunities with WICHE, and more. Here you’ll find info on truly affordable programs and warnings about online schools in Idaho with serious accreditation issues. We’ve also listed some useful links to distance learning websites, including K-12 initiatives. UI has teamed up with the College of Southern Idaho (CSI), North Idaho College (NIC), and the College of Western Idaho (CWI) to offer 2+2 undergraduate degrees. In a 2+2, you can complete your associate’s degree at a local community college and finish your junior & senior-level courses through distance learning at UI. For example, UI’s online 2+2 BS in Agricultural Science, Communication and Leadership allows students to transfer their course credits from CWI, CSI, and other schools. In partnership with BYU-Idaho, The Church of Jesus Christ of Latter-day Saints has developed a low-cost initiative called Pathway. This one-year program is intended to help students learn basic skills and get a start on a college degree. It combines online academic courses (e.g. Basic Writing) with religion classes and church gatherings. Students who don’t have proficiency in English also meet weekly with a native English speaker to improve their language skills. Course credits can be transferred to BYU-Idaho and certain other universities for professional certificate and degree programs. Pathway students who choose to earn an online degree through BYU-Idaho will continue to pay their local Pathway tuition rate. However, financial aid is not available for Pathway students until they are accepted into a degree-seeking program. If you can’t find the affordable online program that you want in Idaho, you have other options! Idaho is part of the Western Interstate Commission for Higher Education (WICHE), which runs a number of programs like the Western Undergraduate Exchange (WUE) and Western Regional Graduate Program (WGRP). These give Idaho students the chance to pay reduced tuition rates for out-of-state degrees. Many of these out-of-state degree programs are campus-based. However, there are a few WUE institutions and WGRP institutions that offer discount tuition rates for online and hybrid degrees. To find out if your degree qualifies, WICHE recommends that you call your choice of school and ask about what’s available. To put together this list, we analyzed each university in Idaho using a variety of criteria, including quality, flexibility, price, and use of financial aid money. These are the schools that made both our “Top Online” and “Most Affordable” lists. (You’ll see a CAG Score next to their profiles in our ranking.) Trying to decide between two? Check out their graduation rates & debt loads on College Scorecard. BSU’s eCampus has details of its online degree programs & courses; up-to-date info on tuition & fees is available through the Student Financial Services website. A number of professional online programs (e.g. DNP) are charged an alternative per-credit fee instead of tuition. Happily, residents and non-residents pay the same tuition & fees for summer courses. Are you a teacher or educator? BSU works with Virtual Education Software, inc (VESi) to provide online education courses for professional development credit, undergraduate academic credit, and graduate academic credit. Professional development credit courses are charged at a flat rate. It’s also worth mentioning that BSU often has respectable U.S. News & World Report rankings for online graduate programs, especially in nursing. BYU-Idaho’s website on Online Learning has the full rundown of tuition rates & fees for its online degrees & programs. The tuition for online courses and on-campus courses is the same. As we mentioned, BYU-Idaho has a Pathway program where students may be eligible for reduced tuition rates. Like UI, BYU-Idaho offers online courses (university, high school, middle school & Continuing Education) through Independent Study. These can either be 100% online or teacher-led hybrid courses. Scholarships are available for high school & university courses. LCSC’s division of e-learning Services has details about its online degree programs and online courses; the section on Tuition & Aid is where you’ll find an up-to-date list of prices. LCSC employees and their spouses & dependents may be eligible for reduced rates. A variety of transfer scholarships and out-of-state tuition scholarships & waivers are also on offer. Like ISU, LCSC has a Workforce Training arm and online training partnerships with Ed2Go, 360 Training, and JER Online. Students receive an online certificate of completion after finishing a course. UI’s Division of Distance and Extended Education (DEE) is chock full of info on its online degrees and certificate programs, as well as online courses such as Dual Credit, summer study, Engineering Outreach (EO), and extension courses. You’ll find details about tuition costs & scholarships for degree programs in the Admissions section. However, all students (in-state or out-of-state) pay the same per-credit-hour fee for summer courses. Non-residents pay the same amount as Idaho residents for EO-delivered courses. In addition to the 2+2 degree programs that we talked about, UI also allows students to complete independent study. Students can work at their own pace on online college courses from regionally accredited institutions; Idaho residency is not required. Whether your school is private or public, make sure it is fully accredited by an organization recognized by the U.S. Department of Education. Although national accreditation applies to distance learning institutions, regional accreditation is much preferred—especially if you’re trying to transfer credits. The Northwest Commission on Colleges and Universities (NWCCU) is in charge of regional accreditation for universities and community colleges in the Northwest states, and the website makes it easy to search for regionally accredited Idaho institutions. NWCCU also posts Recent Commission Actions with info on schools that it has placed on warning or probation. If you’re worried about a school that’s not in Idaho, the Council for Higher Education Accreditation (CHEA) Database lists both national & regional accreditations. Breyer State University is an unaccredited, for-profit school that holds no national or regional accreditations recognized by the U.S. Department of Education and does not appear in College Scorecard or the CHEA Database. It has been called a diploma mill and it is on multiple state lists of unaccredited institutions. University of Phoenix is for-profit institution headquartered in Arizona. It is regionally accredited by the Higher Learning Commission (HLC), but it has been subject to a number of lawsuits over the years. College Scorecard reports that the Meridian campus has a low graduation rate. Northwest Commission on Colleges and Universities (NWCCU): NWCCU provides regional accreditation to universities and community colleges in northwest states. Use the website to search for regionally accredited institutions in Idaho. CourseTransfer: Developed by Idaho’s public universities & colleges, this website is intended to help students navigate credit transfers across Idaho institutions. You can see how your existing college courses, GenEd, AP, and/or Dual Credit work might transfer. Idaho Digital Learning (IDL): IDL is an online K-12 school created by the Idaho State Legislature for Idaho students. Its courses cover the core curriculum, electives, Dual Credit, and Advanced Placement (AP), and are available in a Cohort, Flex, or Hybrid format. All courses align to Idaho Core Content Standards and are taught by certified teachers. Pathway: Pathway is a joint program developed by BYU-Idaho and The Church of Jesus Christ of Latter-day Saints. Folks who wish to earn a college degree can start by taking a year of online academic courses (e.g. Basic Writing) and religion classes before transferring credits. Students who choose to earn an online degree through BYU-Idaho will continue to pay their local Pathway tuition rate. University of Idaho Degree Finder: This tool allows you to search for any degree—online or on-campus—at UI. You can narrow your results by degree level, college, or topic.